CEA (French Atomic and Alternative Energies Commission) is a research state agency for nuclear energy, employing 16000 people. The Research & Technologies Division (DRT), one of the four operating divisions, focus on the new technologies for energy (photovoltaic, batteries, H2 and fuel cells) and nanomaterials with the LITEN (Laboratory of Innovations on Technologies for new Energies and Nanomaterials), a technological research institute of more than 1000 people. CEA/LITEN is in charge of this project with the three services of the DEHT (Department of Electricity and Hydrogen for Transportation) involved: SRGE, SIGE and SCGE (Realization, Integration and Components of Electrochemical Generators). For fuel cells development and studies, CEA/LITEN benefits of several hydrogen platforms for testing single cells, stacks (from 0.1 to 50kW) and systems; equipment for manufacturing materials, fuel cell components and stacks; and direct access to Minatec nano-characterization platform. IRD A/S DANMARK IRD A/S is an independent high-technology SME devoted to and specialized within development of fuel-cell materials, fuel-cells and fuel-cell systems. IRD operates internationally through its own organisation and through daughter companies, associates, and licensees. The IRD strategy is to develop new fuel-cell technologies in collaboration with international research groups, strategic partners and customers and thus establish a stronghold in the fuel-cell business with respect to commercialization of fuel-cell components and products for the global market. 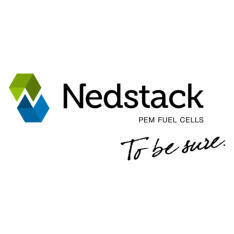 Nedstack fuel cell technology BV manufactures and commercializes PEM fuel cell stacks for the main fuel cell markets. Customers are system integrators of PEM fuel cells: manufacturers of back-up power units (UPS), manufacturers of power generators, shipyards and bus manufacturers. Nedstack and partners also produce large stationary fuel cell systems up to 2 MW operating on hydrogen, and have developed and delivered pre-commercial products for transport applications. 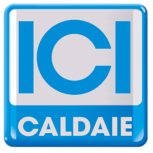 ICI CALDAIE S.p.A. was founded in 1958 and currently it can be considered as a leading company of the CHP sector thanks to the continuous research and development of highly reliable heating generators keeping up with the technological evolution. The experience reached with the passing of the years has allowed the firm to transfer the know-how acquired in the planning and realization of industrial steam generators, a sector in which the firm occupies a leading position, to that of domestic and wall hung boilers. Today ICI CALDAIE S.p.A. presents itself on the European market with a complete range of products: Every project is made by the R&D Department which is endowed with modern networked CAD stations; the preparation of the sub-assembled components is realized with laser cutters and numeric controlled machines; the perfect welding of the elements is ensured by modern robots and every single boiler is subjected to a severe test which certifies its reliability. The development of new products, adequate to the ever stricter European regulations as regards use and emissions, is entrusted to a R&D Department endowed with modern instruments to verify the reliability and output of the boilers. All the models produced are CE marked. In 1993 the ICIM (Istituto di Certificazione Industriale per la Meccanica) certified the Quality System of ICI CALDAIE S.p.A. according to Italian, European and international standards UNI EN 29002 (IS0 9002); in June 2002 BVQI (Bureau Veritas Quality Insurance) confers to ICI CALDAIE S.p.A. the ISO 9001/94 certification and in April 2004 the ISO 9001/00 certification. They own IP about a reforming device used for a PEM FC based μ CHP system.” POLITECNICO DI MILANO ITALY Politecnico di Milano is the largest Italian technical University, with about 39000 students in 2012, 1150 PhD students, 1350 professors and assistant professors (www.polimi.it). The Department of Energy (www.energia.polimi.it) research activities embrace all the range of energy sciences and technologies, thanks to the work of over 250 people. In the Department of Energy, the experimental and theoretical activities on polymeric electrolyte membrane fuel cells and related components are carried out by the MRT Fuel Cell Laboratory (www.MRTfuelcell.polimi.it). The laboratory started its activities in 2005, until now its scientific production increased rapidly: 5 PhD, 35 master theses and 30 papers on international journals were dedicated to the major issues of DMFC, PEMFC, HTPEMFC by 2014. The lab is today involved in several collaboration with universities, research centres and industries in national and international research projects. GERMAN AEROSPACE CENTER GERMANY The DLR-Institute of Technical Thermodynamics is active in the fields of renewable energy research and technology development for efficient and low emission energy conversion and utilisation. The division Electrochemical Energy Technology has long-term experience in fuel cells (SOFC, PEFC; DMFC and AFC), production technologies e.g., plasma technology, rolling and cold dry spraying techniques. The division also has extensive experience in the characterisation of components of electrochemical energy converters with electrochemical and physical methods as well as in the diagnostics of fuel cells. Around 70 persons work in the electrochemical energy technology division, 15 persons in the field of PEFC research and development. In addition numerous people work in the analytic of components for electrochemical systems. The division Computational Electrochemistry was founded in November 2012 and consists of 11 scientists and PhD students. Its main activities are the development of electrochemical multiphysics models of fuel cells (SOFC, PEFC, DMFC) and batteries (Li Intercalation, Li-Sulfur and Li-air). Institute for Energy and Transport (IET) is part of the Directorate General Joint Research Centre (JRC) of the European Commission. Its mission is to provide scientific and technical support for the conception, development, implementation and monitoring of community policies related to energy. Special emphasis is given to the security of energy supply and sustainable and safe energy production. JRC supports EU actions by executing its specific research programme in the fields of clean and sustainable energy spanning both nuclear and non-nuclear domains. Typical activities encompass nuclear safety in the enlarged EU; clean, efficient biomass combustion and gasification, and harmonisation and validation of safety and performance assessment of fuel cell and hydrogen technologies. The Institute concentrates on S&T reference systems for policy support at European level, networking, especially in areas where integrated action at the Community level in support to policies is needed, and finally on mobility of scientific skills. It also performs contractual work co-financed by the indirect actions of the Framework Programme (FP) and work for third parties as well as work at the direct request of Commission Services. 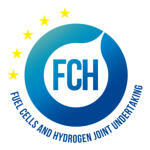 The laboratory for fuel cell research at the Institute of Chemical Engineering and Environmental Technology of TU Graz looks back on many years of R&D experience in the field of fuel cells and hydrogen production technologies. Since its establishment in 2001, many national and international funded research projects were successfully conducted. Between 2002 and 2009 the laboratory was operated as Christian-Doppler-Laboratory for Fuel Cell Systems, supported by industrial partners and the Christian Doppler Society, Vienna. The working group represents Austria in the Implementing Agreement on Advanced Fuel Cells of the International Energy Agency (IEA) in the Annex “Polymer Electrolyte Fuel Cells” and the Annex “Portable Fuel Cells”. 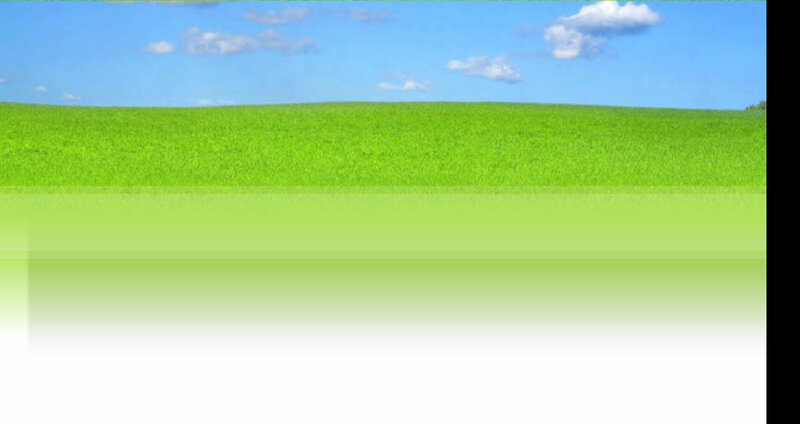 In national projects in cooperation with industry as well in international projects (e.g. KeePEMalive) the laboratory gained expertise in the field of lifetime and degradation of PEMFCs. Within the project SecondAct, the focus of research includes accelerated stress tests and detection of local degradation phenomena.